It is with great regret we must report that Iain Robinson, the creator of this wonderful website, has sadly passed away after a short illness. 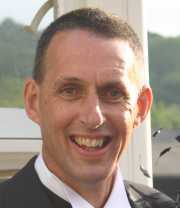 He will always be remembered and greatly missed by all involved at Kirkby Stephen East. This is the official web site for visitors to Kirkby Stephen East Heritage Railway Centre and includes full details of the programme of events we will be hosting this summer as a part of the "Stainmore 150" celebrations and to mark the reopening of the station for passenger traffic. You can visit the Centre on any Saturday or Sunday during the year, admission is free apart from those days when an event is being hosted on site. We look forward to seeing you! This summer marks the sesquicentennial anniversary of the opening of one of England's most notable and interesting railways. In just over three years Victorian entrepreneurs, engineers and 'navvies' built the South Durham and Lancashire Union Railway across Stainmore, connect the collieries and furnaces of north east England with the haematite ores of Cumberland the shipyards of Barrow-in-Furness. The 'Stainmore Line' was built as the final link in a plan to make a railway from coast to coast. The tracks ran westwards from Darlington and West Auckland through Barnard Castle and Kirkby Stephen to Tebay and Penrith. Although much of the route climbed across remote moorlands these lonely tracks became a vital and busy link in the expansion of heavy industry in Victorian England. And as the highest main line railway in the country, the route became known for its many spectacular and beautiful viaducts across Pennine valleys. The Stainmore Line was closed as a through route in 1962 and the famous wrought iron viaducts were demolished soon afterwards. But many other structures still survive and especially in the landscape of the upper Eden Valley where thanks to the work of the Northern Viaduct Trust the future of three of the most beautiful bridges has been safeguarded as part of a network of new footpaths. In 1997 a group was formed to work to restore Kirkby Stephen East as an important railway heritage centre. In 2011 - forty nine years after a steam locomotive last hauled a passenger train out of the station - they will be returning to the site. As a climax to a summer of events and celebrations it will once again be possible to ride a steam train on a short part of the line. This web site consists of five main sections. In Stainmore Story you can several pages offering a readable introduction to the history of the railway and to the generations of locomotives and trains that worked from coast to coast across the roof of England. We will also explain the part the railway played in the history of the town of Kirkby Stephen, and the ways in which it influenced the lives of local people for more than a century. The section 'Born Again' describes the project now under way at Kirkby Stephen East to restore the site and how we hope that this will bring benefit the town and area in the future. The following section on '2011 Events' provides will provide full details of the the programme of events and exhibitions planned for the summer which will culminate in the 'Stainmore 150' weekend from 27-30 August. There will be pages providing details of locomotives and rolling stock which can be seen at Kirkby Stephen East during the year including some from the collection coming from the National Railway Museum. There will also be information about our sponsors for 'Stainmore 150' events. Watch out for regular updates of this part of the site throughout 2011 as more information becomes available. The pages on 'Participants' provide information on the many public and private organisations and groups that are coming together as part of the 'Stainmore 150' programme. Finally, in the section 'How can I help?' you can read about the various options that are open to you if you would like to join us as a volunteer, either as a long term member of our project group helping to run the railway or working on restoration tasks on site, or by offering to help us out as a volunteer on the busy event days we have planned. Now, fourteen years and a huge amount of hard work later the buildings back in good order, rails are re-laid and locomotives and rolling stock on site. We are on target to be back in business as a Heritage Railway Centre during 2011 and set to become an important educational resource and visitor centre in the upper Eden Valley. Please call in pay us a visit soon! We hope you will come and enjoy the "Stainmore 150" celebrations. Even better come and join us as a volunteer and help us make all this happen! 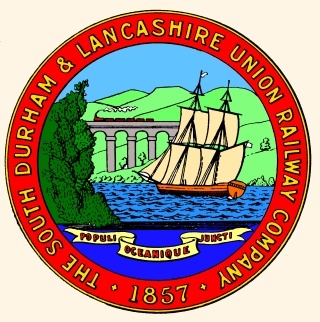 Seal of the South Durham and Lancashire Union Railway. Mike Thompson, Chairman, Stainmore Railway Company. © 2010 Stainmore Railway Company. Site design by Iain Robinson. All rights reserved.